This week’s interview is with Lee Rosen. We were lucky enough to hear from Lee on a variety of topics, including taking bold action, the importance of marketing and how to make outsourcing work in a law firm. As we have had this series on being an entrepreneurial lawyer, we’ve discussed a wide range of topics, including how to use technology and all along the spectrum of creating the systems and mentality for a successful law practice. And what I think is interesting from some of the stuff you’ve written, is a theme of action. You’ll basically say, “Yeah, planning is good, but you just need to go and move. You need to do things.” And I really like that. So, I kind want to start out broad and hear you elaborate on that. For a lawyer starting your own firm, you have a million things to think about, and there is a tendency to get overwhelmed. So a lawyer might spend all their time thinking and not enough time doing. What are your thoughts on how planning and acting meet? Well, yeah, there is a tendency to overthink things, and then to do the easy things, as opposed to the hard things. Unfortunately, it’s the hard things that actually result in the return on the investment of your time and money. And so I meet lawyers all the time that start a new practice and the first things they want to do is worry about signing up for an email account, or getting a new cellphone, or buying malpractice insurance, or getting business cards and letterheads – all of which are things you’re going to do eventually, but they’re easy. And the thing that people need to be doing is the hard stuff like cold calling prospective clients or referral sources. It’s scary because you put yourself out there and take a risk. But that’s where growth happens and that’s what you need to be doing. The easy stuff won’t help you grow. So there is a need for less thinking and more doing – especially doing activity that makes a real difference. That’s really great, and a nice challenge. And do you think that the more you act and move forward – the more the plan will emerge as you go. Yeah, and the best part about the hard things is that once you do them, you realize they aren’t that hard. The minute you start taking action, you get some success and positive feedback, and it encourages you to do more of the hard things because they don’t feel as frightening anymore. A great example is I met with a lawyer the other day, and he’s trying to build an immigration practice. We were talking about it, brainstorming about it, and there are a bunch of professional sports teams in the city where he lives. And I said “Well why don’t you call the general counsel of the pro baseball team?” Because pro sports teams actually have a big need for immigration lawyers, because it’s an issue with a lot of their players. And so he made that phone call, and boom, he gets through. The guy wants to talk to him, is helpful to him, and they have a pleasant conversation. They schedule lunch. Then, suddenly, what seemed like an incredibly scary thing to do – to cold call the general counsel of a pro team – is not so scary anymore. Now calling the next one or even someone more up the line feels a lot easier than it did before. So yeah, once you get going, things rapidly fall into place. It’s partially because you’re doing things, and partially because you’re getting over the fear of doing things. That reminds me of something I’ve seen Tim Ferris write about. He says that a lot of times the higher you go, the easier it is, because if you aim for mediocrity, you’re in there with everybody else, and it’s actually more challenging than to go for something big. Yeah, that’s an interesting point, and I think there’s some truth to it. The most important thing is if you just get yourself to do it, you’ll quickly learn that all those things you thought were something you couldn’t do or they were above you or beyond you, they’re just not. The only difference between you and the person that’s doing them is that they’re doing them and you’re not. No, to say small law firms undermanaged or poorly managed would be an overstatement. The reality is most small/medium sized law firms are simply not managed. Management, in my mind, is a number of behaviors. For example, with respect to managing a staff person, it’s about having a system so that staff person knows what the bigger goals are and how those goals are broken down into smaller pieces. It has to do with having a system for communicating that. It has to do with having a weekly meeting with that person, a daily meeting with that person, giving that person feedback, delegating and tracking the work that you delegate. It’s all about specific behaviors the manager uses in order to get the result that they want from the employee. And that’s not the way it works in almost any small or medium sized law firm. There simply isn’t management. You have lawyers that are spending their days frustrated and wondering “Why did that employee do that?” And the reason they did it is because they didn’t know what you wanted them to do and there was no one managing them by giving them feedback and giving them the input about what the mission is. And so, you’re absolutely right that we’re under-managed. But in fact, we’ve never learned what management is. We’ve never been trained in it, and we simply don’t do it. We focus on other things, and it just doesn’t happen. Yeah, that is an interesting point, and it’s an interesting tension I think too between having a plan and taking action. So with that in mind, I want to talk to get into outsourcing because you’ve written about it, and that’s another thing where if you don’t have a plan and don’t know what you want, outsourcing can’t really help you much, right? Yeah, you’ve got to know what you want, but outsourcing, I’ll tell you, even if you don’t know what you want, is sometimes still a good idea. First of all, if you’re not going to manage your employee, then you shouldn’t have an employee. But if you still need that work done, maybe you could find another business owner that can get that work done for you. So the field that you guys are in, accounting, is a really good example of that. So many law firms have a bookkeeper, who is of course not managed, because we don’t do that, and so the bookkeeper does whatever the bookkeeper is going to do on whatever schedule the bookkeeper is going to do it. Maybe it’s right. Maybe it’s not. Who knows?? 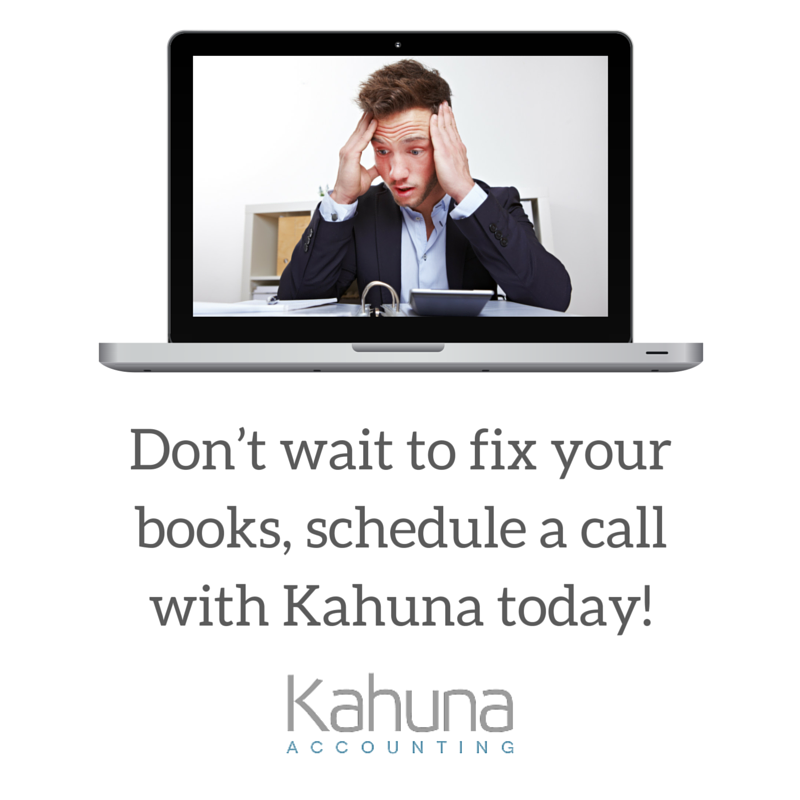 If you hire a professional bookkeeper like Kahuna, who owns their own business, and packages up this service and clearly defines they’re deliverable, and you go buy that deliverable. Now you don’t have to manage that employee, they have to manage their employees. So, the reality is for most lawyers, outsourcing to another business that is able to deliver what they promise is a big step up from the no management approach to most of our employees. So when I look at the average lawyer who’s refusing to do management for a million reasons – too busy practicing law, doesn’t know how to do it, doesn’t have the time to do it – whatever it may be… For that lawyer, they ought to fire everybody and outsource everything, and they’ll be ahead of what they were. And where you’re going, I think, is, you should have a plan before you outsource. That would be ideal. But even if you don’t, you’re better off often with outsourcing the processes. Then you can partner with them and refine the system, because they may have better ideas about how to do it more efficiently than you do. That’s their area of expertise. If it’s that kind of person who can give you feedback, then that’s even better for you. Now a lot of times, we’ll outsource to some young person in the Philippines. They don’t have any input. They’re going to complete Task A, Task B, Task C. That’s all we expect of them, but we’re paying a very low rate for that.  But with someone with say, a bookkeeping service, an accounting service, you’re hiring another law firm, or you’re hiring a marketing expert or whatever it may be, part of what you’re buying when you outsource for that is their expertise. Yeah, that’s good, so I want to move this one step further, because I think this is a real big challenge. So if I’m, what I’m hearing is basically when you’re starting, keep it simple. Don’t get too overwhelmed with trying to come up with all these things. Know what you want. Know where you’re going and move forward. What are the practical steps to find the ability to see that big picture, because I know that’s a huge challenge for any entrepreneur, where once you’re just in it day to day, you can’t even see outside of that. So when you talk about management or creating systems, the attorney is just doing it. They just have to figure it out, and don’t have time to step out and see the big picture. Is that assessment an annual thing? A quarterly thing? Do you need someone to help you see it? What are practical steps to get out and see the big picture of what’s going on? Fundamentally, you have an unlimited amount of time to do all the planning, organizing, looking at things from the big picture perspective if you have good clients. Good clients help you solve all of those problems, because those good clients are paying good fees on time, every month or whatever your system is, and then you have the ability to bring in the resources you need to free yourself up to do all of that planning and thinking and organizing. And so, you know, this is not necessarily the answer that people want to hear, but if you will go out and earn the clients’ trust, and therefore earn the money, you can buy what you need to get the time that you need. You can free yourself up by using the experts or buying the employees. So when you meet lawyers that are on overload, they’re overwhelmed, they have no time or energy for systems building, planning, big picture perspective kind of thinking, it’s almost always about a lack of marketing. They’re not doing the marketing that generates the clients that can pay the bills so that they can relieve themselves by getting the help. And so, when you say is it quarterly, is it annually, is it monthly, well it can be all the time in the world if you go out and have the money coming in to this system, to this funnel at the top end, then you can free yourself up tremendously. Yeah, and I think that goes full circle, so I’ll just ask one more question. In regards to failing in marketing, do you see that as another symptom of the greater cause of not doing the hard things, finding the path of least resistance and just taking what comes? The marketing is, for most of us, the hard thing. It’s the thing that we need to put at the top of the list. It’s the thing that we need to prioritize. Everything else can be taken care of if you’re doing the marketing and you’re generating the business. You can pay to get all that other stuff done. Let me tell you, there are a million people in the business helping you get a business card, and buy health insurance and malpractice insurance and cell phones. The hard thing and the thing that is very difficult to outsource or to find anybody to do for you, is to go out into the world and meet people, and connect with people, build trust and have them hire you. That’s the hard thing. And that’s where you’ve got to spend your time and energy. If you do that, all of the pieces of the puzzle will quickly fall into place. If you don’t do that, they can never fall into place. Lee began his legal career in 1987 and is the founder of the Rosen Law Firm. As Rosen’s Chief Executive Officer, Lee oversees strategic planning, staff development and fiscal management. Never idle, he has served as a Council member of the North Carolina Bar Association Family Law Section and Chairperson of the Law Practice Management Section, as chairperson of several committees of the American Bar Association, and as editor of Family Forum, a publication of the North Carolina Bar Association. As if that weren’t enough, he spent more than a decade as a member of the editorial board of the Family Advocate, the largest circulation family law publication in the U.S., and he was a legal advisor to the National Council of Juvenile and Family Court Judges, which included working on the Model Code on Domestic Violence. Lee is a graduate of the University of North Carolina at Asheville and received his J.D. degree from Wake Forest University School of Law. Lee also writes at Divorce Discourse.